There are few places better in the world than home. It’s where we unwind, where we sleep, where we eat, and laugh, and watch all the Netflix. Home is where the heart is. While we love the great outdoors of our beautiful Canada, it’s what’s on the inside that really counts. So, we’ve curated 9 beautiful interiors to inspire your home decor and level up your #HouseGoals. 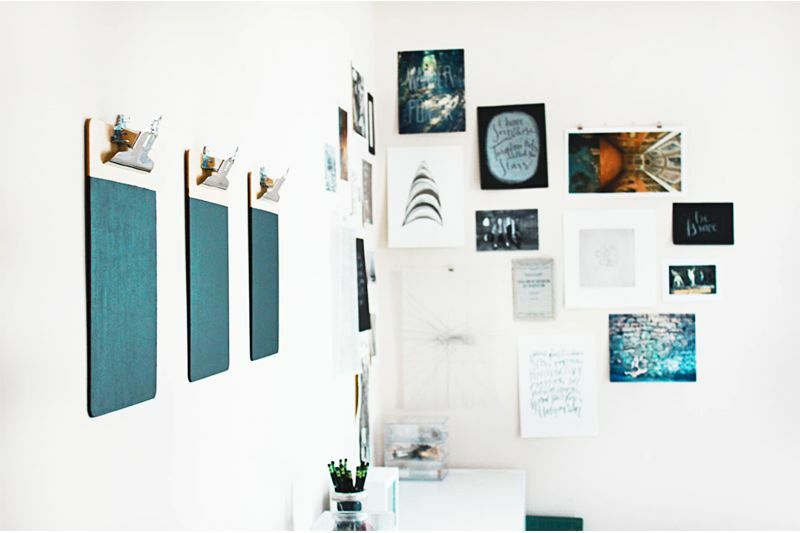 Are you loving the space you call home? 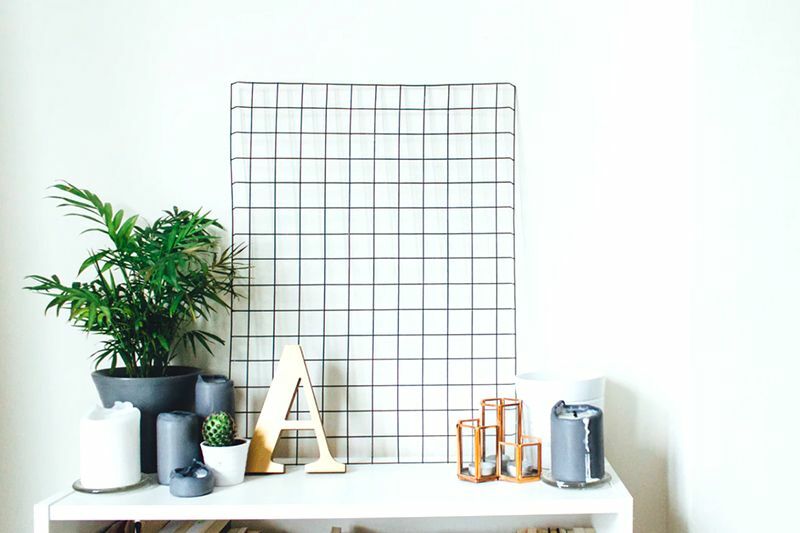 Follow us on Instagram and share your home inspo photos using the hashtag #LondonDrugs! Share your Beautiful Canada + home inspiration and tag us on Facebook, Twitter, Instagram, Pinterest or YouTube ! How to make your recycling area cleaner, greener, and more beautiful! Recycling things right is a lot easier if your home recycling zone is organized and looking fresh. Here are some ideas (and products) to help you turn your recycling corner from dumping pile to decorator drop zone! 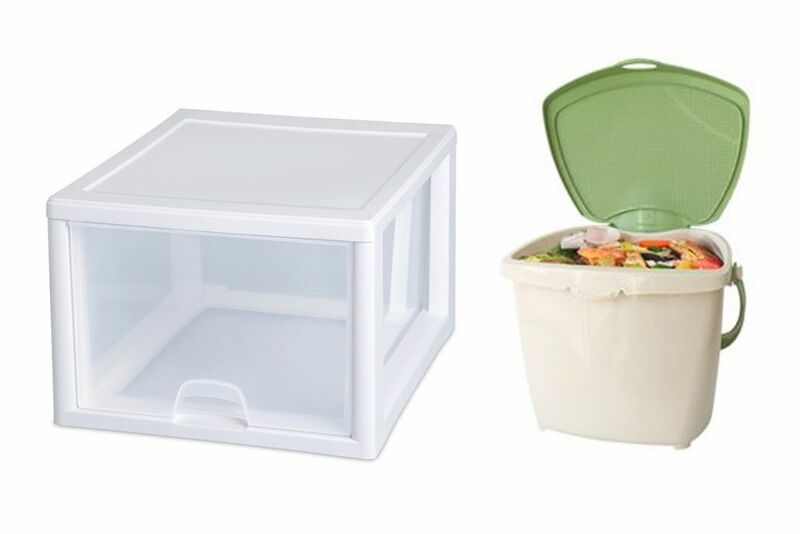 A set of stackable containers or matching baskets can help your recycling zone feel like a more designed part of your home. Small – For Apartments & Condos: If all you have is the corner of a closet, the Sterilite Weave 3 Drawer Tower is a tidy solution. Combine with a 6L Good Natured Kitchen Compost Collector. Medium – Perfect for Small Family Living: Sterilite Stacking Drawers are a great modular system that can stack vertically or side by side. Each has a 26L capacity to hold lots of recyclables. Combine with a 7.1L Sureclose Foodscrap Container. Large – For Bigger Homes and Extended Families: If you have dedicated recycling space in a mud room or garage, consider a set of 39L Tall Recyclers by Good Natured. (They are even made from 90% plant-based materials and no nasty chemicals!) Line with a plastic bag for easy emptying. For compost and food scraps, up-size with the Good Natured 8L Tall Compost Collector. Decorator – Recycle with Style: If your recycling zone is part of your living area, create a clean, neutral-tone statement with NeatFreak storage bins in a NeatFreak Stackable Shelf. 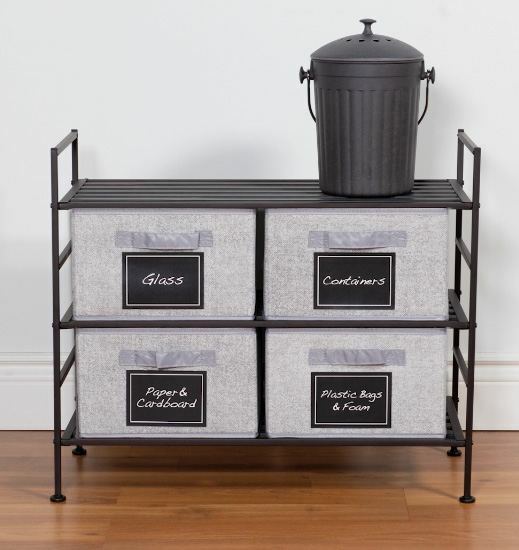 Even your compost can dress up with a London Drugs brand compost bin in grey bamboo or stainless steel finish. 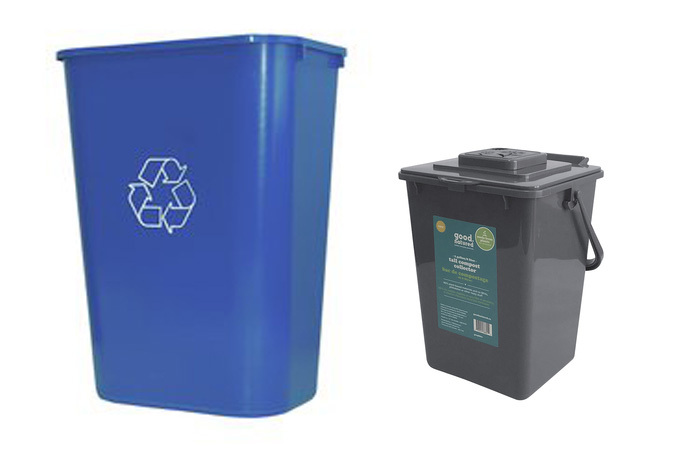 Using your local recycling stream list as a guide, create some custom labels that match your bins. Create and print them on sticker stock from your computer, or make it a family art project. Your recycling, your look! There are a lot of things you can recycle beyond what gets picked up at the curb. Your local London Drugs takes batteries, electronics, small appliances, soft plastics, Styrofoam and more. A Good Natured Curbside Recycler Bin makes it easy to grab on your way out the door. Share your new recycling zone with your family or roommates to make sure everyone knows what goes where. Because now your recycling zone ROCKS!! And that’s the REAL Green Deal! When preparing for the chilly fall and winter months, winterizing your backyard or deck may not be the first thing that comes to mind, but it is an important step. Before you retreat indoors to cozy up in front of the fireplace with a mug of cocoa, remember that your home requires some fall maintenance. Here’s what you need to do to winterize your garden! By following these outdoor tips, you’ll ensure that come springtime, your backyard, deck or garden will be ready to thrive. Even if you are short on time, or are heading on an early fall vacation, the one thing you can do to prepare for the season is to keep your deck, gutters, and lawn clear of fallen leaves. They may look beautiful at first, but if you leave them on the ground for too long—especially in wet weather—they can rot, cause mould and moss growth, and damage wooden decks. Clean out your gutters and downspouts as well, as clogged leaves can cause ice dams once the temperature drops. You may want to invest in a gutter screen just to be safe. If you do only one thing on this list, this should be it. If you have a garden and are keen to keep it in good shape for the spring, it’s incredibly important to pick over and pull out plants and flowers that are no longer productive. The same goes for any fruits or vegetables that aren’t in harvest or have been leftover from last season. Rake up all debris (this can easily be done while you’re clearing out leaves) and add to the compost bin. Don’t forget to trim dead tree branches and shrubs, and while you’re at it, clean your flowerbeds and mulch— you’ll need them in shape to help protect your next crop! While you’re already up on the roof clearing out the gutters, take a look around and make sure there is no roof damage. The last thing you need this season is a dripping ceiling! Inspect for loose or missing shingles, and if you have a deck, make sure the gutter doesn’t empty onto its foundation. If you want to go the extra mile, inspect your driveway for cracks and seal them with driveway filler, and then check your windows to make sure they don’t need extra caulking. Making sure your home is as snug as a bug in a rug will help you save $$ on heat and electricity. Tighten any loose screws, replace nails, and fill any cracks or loose boards on the deck or patio. If your region is anticipating heavy rain or snowfall in the coming months, plan ahead and consider creating a rainscape below your gutters to redirect any overflow. Use rocks as a channel guard underneath to protect your flowerbeds, driveway or deck from damage. It may come as a surprise, but fall is actually one of the best times of year to plant spring-blooming bulbs in certain cold-weather areas. Simply plant them in containers just as you would do in the ground, in odd-numbered groups of 5-9. Choosing containers with good longevity (think ceramic or plastic) will protect your plants from freezing and moisture. Tulip bulbs are a favourite that can be transplanted around the garden in the spring. Trees and evergreen shrubs can also be planted during the cooler season, and you’ll have a great head start to the growing season when spring comes. There are a number of measures you can take to protect your garden and plants over the winter months. This includes deadheading potted plants and making sure they get plenty of water before bringing them inside, as well as covering flowerbeds with mulch for protection against frost. You can also leave some seeds out for the birds to ensure your garden gets some attention over the winter, and to promote your next bloom. The last thing you want when opening up your patio or deck in the spring is to find rusted or damaged patio furniture that you have to replace. If you plan ahead and store, cover, and clean all hard surfaces before the first frost, you’ll having nothing to worry about. Even if patio furniture is powder-coated, it can pay to take extra precaution by cleaning and covering aluminum metals with automotive wax. Plastic furniture and fabrics do need to be brought indoors, and while wood-based and wicker furniture will probably need oiling or painting touch-ups, covering with a tarp will protect them from most elements. The same goes for covering any exposed air conditioners, and other lawn equipment. Don’t miss out on the most fun part of winterizing your deck—the decorating! Once you’ve cleaned, inspected and winterized the backyard and taken care of all the logistics, it’s time to get creative. Whether you string fairy lights around windows and doors, or display multi-coloured pumpkins, cornstalks, and pinecones along the staircase, there are endless patio designs available to inspire you. The changing weather and cooler temperatures are bringing out our cozy side. What better way is there to prepare for the winter ahead then by wrapping yourself in layers and layers of comfort. From a sturdy plaid flannel, to accessories that make a statement, this is your guide to creating a totally cozy plaid life this fall. The red plaid shirt is a classic for a reason. Aside from being the unofficial Canadian uniform, a good plaid shirt is durable, warm, and relatively weather-proof (particularly if you go for a flannel). Whether you are sitting around a campfire on a chilly fall evening, or running holiday errands in the slush, the plaid shirt just makes sense. 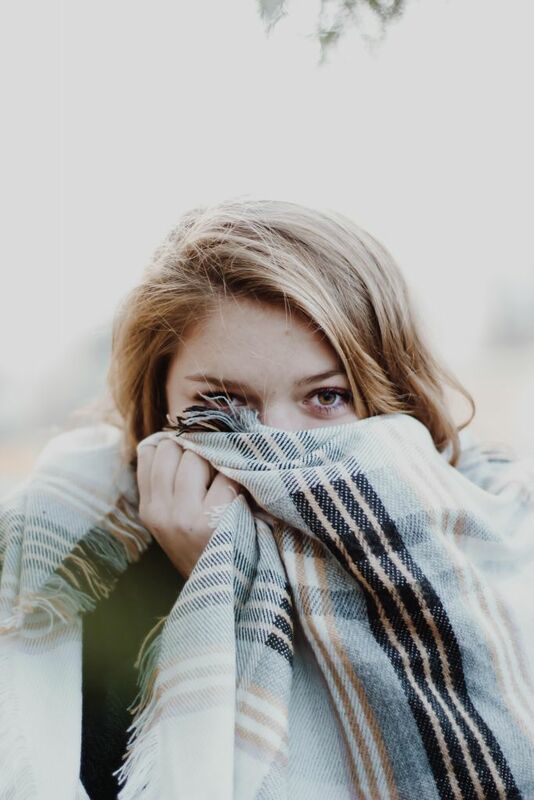 Expert cozy-ists know that a plaid throw is a must-have for fall. The thicker, the better. Curl up on the couch under your plaid throw with a good book or your favourite old movie. Bonus points if you casually sip hot chocolate. 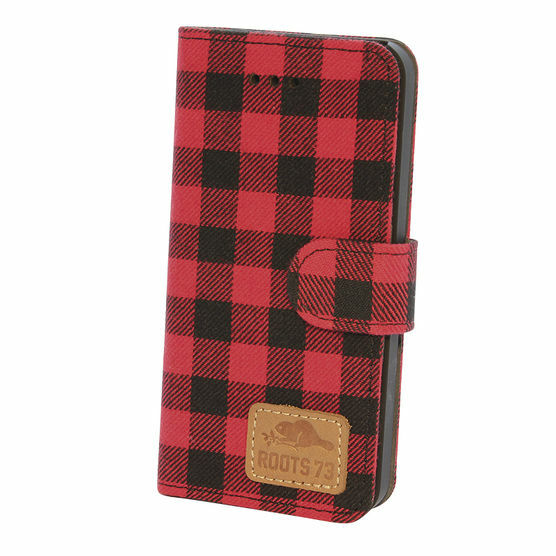 Bring the spirit of coziness along with you everywhere you go with a Roots 73 Plaid Folio Phone Case. It’s a stylish and durable case that subtly showcases your commitment to the cozy plaid life wherever you are. Really go for the gusto by turning an old tabletop into an eye-catching statement furniture piece. The Rain on a Tin Roof blog has a no-measure method for painting a plaid pattern using painter’s tape. There you have it. That’s everything you need to create a plaid-tastic fall. Wrap yourself in layers of flannel and warmth, and indulge in that lumberjack-chic life. And please, snap some photos of your #PlaidLife and share them with us on Instagram (@LondonDrugs) or Facebook.